The Western Partnership will engage with the wider community to identify key priorities. The Western Metropolitan Partnership is an advisory group established by the Victorian Government. The Partnership is a way for local communities to engage directly with state and local governments, and advise the Victorian Government of the top priorities for jobs, services and infrastructure across the region. This advice will become part of government’s key decision-making processes. Following engagement with its community throughout 2018, the Western Partnership has developed its advice to the Victorian Government on the regional priorities for the Western region. Waste, Greening and Environmental Sustainability - Create opportunities to showcase innovative and best practice approaches to sustainability, community education, waste management and research activities, product recycling and waste disposal options, including alternative waste treatment, through a Centre of Excellence. Create liveable and well planned suburbs which incorporate open spaces, trees and appealing landscapes that respond to climate change. The Partnership held its second annual Assembly on Wednesday 18 July 2018 at Encore Events Centre, Hoppers Crossing, where it heard directly from the community about how to further progress priorities for the region. Watch the video below to see the 2018 Assembly in action, or read the 2018 Western Assembly Summary Report. To find out what participants had to say about what's important as a young person living, working and studying in Melbourne read the 2018 Metropolitan Partnerships Youth Forum report and watch some of the highlights from the Western breakout discussions. On 4 October 2017, 177 community members, business representatives, councillors and mayors came together to help determine the key priorities for the Western Metro Region. The outcomes of the Assembly have been used by the Partnership to inform it's advice to government on priorities for Melbourne's Western metro region. You can also download a copy of the 2017 Assembly report. Melbourne's Western Metropolitan Region extends from the inner suburbs of Moonee Ponds, Footscray and Williamstown, through the middle-ring suburbs of Essendon, Maribyrnong, Sunshine and Altona, to the growth area suburbs surrounding Werribee and Melton. 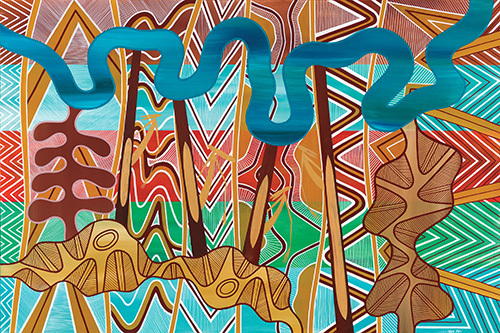 Melbourne’s Western Metropolitan Region is the traditional home of the Wurundjeri and Wathaurong peoples of the Kulin Nation. Read more about the Western Region.